What was the name of that cute little trattoria in Rome? And which amazing Barcelona tapas bar was your friend just raving about? 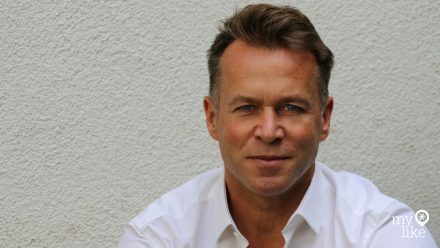 These kinds of questions should become a thing of the past – that is, if things go as planned by Uwe Hering, one of the founders of myLike®. In 2014, the electrical engineer started developing a platform for private users and companies to save, organize and share exciting locations around the world on an individual basis. With his fellow founders, computer scientist Marc Schallehn and industrial designer Anja Wilbert, Uwe plans to make points of interest internationally visible in the form of insider tips. myLike was recently officially launched. In our interview, Uwe explained how to use the platform and why he launched the startup, and shared his experience with crowdfunding campaigns. They can be posted just for the user, their own friends or the general public: Places that myLike users would like to visit or have already visited can be saved and personalized with images and comments. Users decide who can see each post. It can also be used in other areas: For student groups the platform can provide a “survival guide” for new students, for example. For the hotel, travel and transportation industry, myLike offers a ‘Mobile Concierge’ and a ‘Digital Tour Guide’ for guests’ smartphones. It is also a useful tool that allows bloggers and magazines to make selected content mobile. This content can then be directly geolocalized to make it helpful for followers and readers. What is new about myLike? The Munich startup also wants to give communities a space where what is good is not decided by a mass of people but instead by what they call the ‘Circle of Trust’: a circle that every user is able to personally define. A team that believes in the project and complements each other well. Synergy between private and corporate users who interact with one another. Daily use. 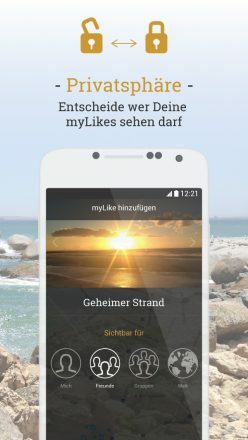 myLike is great for traveling, as a trip planner and journal, but it is also fantastic for your own town. For yourself, visitors and friends. Crowdfunding is worthwhile. But not always. Thanks to some ‘Explore Your Vicinity’ packages amounting to a considerable sum of 900 US dollars each, however, they reached their funding goal of 20,000 US dollars — which makes the young entrepreneurs quite proud. In addition to the crowdfunding proceeds, a cash prize of 25,000 euros for first place in the challenge helped the startup to continue on its path. Additional facts and figures are now coming together. Having just gone live, the startup is currently counting on power users such as flight crews, expats, Airbnb hosts and B2B partners. The Munich-based entrepreneurs are also working with several large hostels and hotel chains, limo services and international student groups. Financing for myLike will come from these sources as well as from affiliate partners and SaaS. myLike is currently looking for investors who understand their business model and potential in this particular market. Whether the funding comes from angel investors, family offices or partners in the industry is irrelevant to the entrepreneurs. What counts is the synergy that the potential investors envisage. “The English Garden – just a few feet away from where I live – is perfect for jogging, swimming and socializing. Unique in all the world. The Isar River, with its trails for mountain biking, is also pretty special.